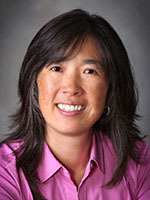 Dr. Wu received her Bachelor’s degree from Tufts University and her Doctor of Medicine from the Albany Medical College in New York. She completed her residency with Brown University Family Practice, Memorial Hospital of RI and served as Assistant Chief Resident. She is board certified in Family Practice. An accomplished violinist, Dr. Wu is an active member of the Wellesley Symphony.